It’s not my quote, but some interesting words of wisdom by Lorne Michaels of SNL fame which might apply to this past weekend in central Oregon. At the 2nd annual Run To The Cascades in Redmond, where hundreds of motorcycle enthusiasts gathered to celebrate a remembrance of September 11th and to salute the men and women of our military along with the fire and police departments were met with a clash between the Mongols and Hells Angels motorcycle clubs. According to witness reports, around 5 p.m. Saturday, a large Mongols group approached the Hells Angels members already at the event – the HAMC had a vendor booth there – and “demanded the Hells Angels group leave immediately.” It was reported that weapons were brandished. Once word of the confrontation went out to law enforcement it prompted police and sheriff’s deputies to enter the fairgrounds and stand by while the Hells Angels group packed up and left. 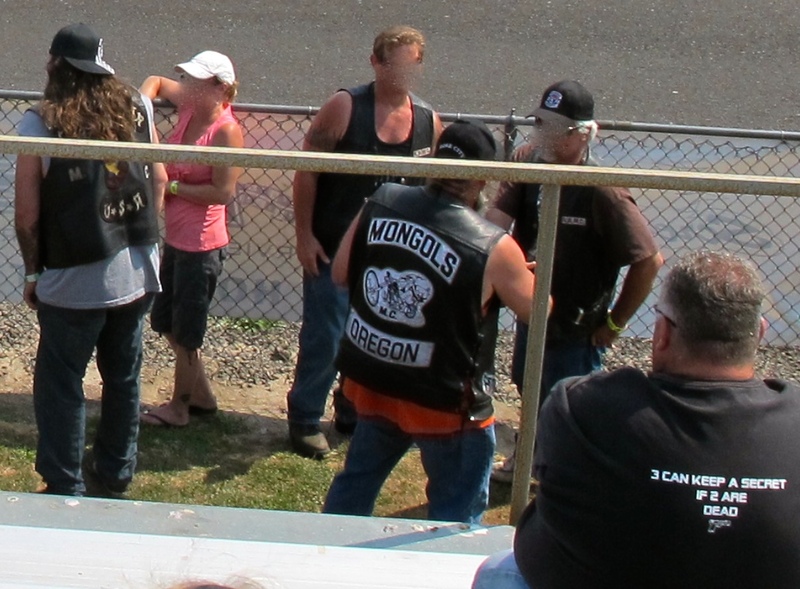 Other witnesses reported that the Hells Angels group intended to return with more people to settle the dispute, and at that point, sheriff’s deputies and police contacted fairgrounds Director Dan Despotpulos “and strongly recommended the event be closed in order to protect public safety.” The fair director agreed and they immediately began closing the event. I wasn’t at the rally, but can imagine the disappointment! Are these “life-threatening” events occurring more often at rallies? I don’t know, but the result is the same on future events. Similar to the Laughlin River Run melee a few years ago or most recently at last year’s Street Vibrations shooting in Reno/Sparks between the HAMC and Vagos. 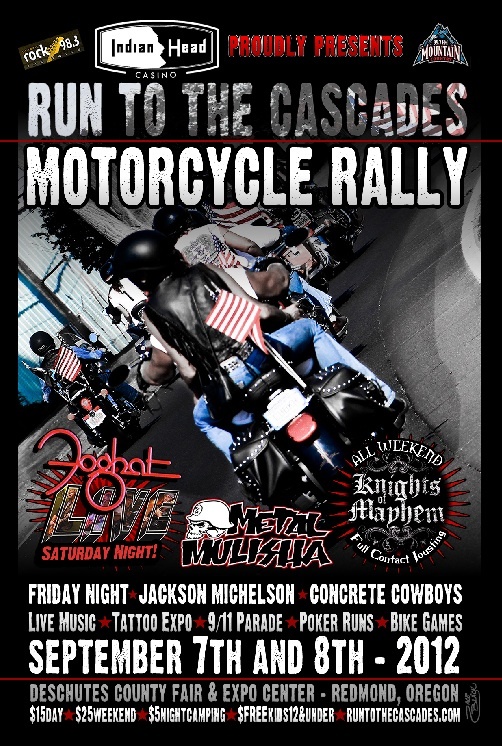 The sudden closure of the Run To The Cascades rally meant the closing-night concert by the classic rock group Foghat was cancelled. It’s unclear if event organizers will be on the hook for any refunds. There were also reports that some people who had camped out at the campground were reluctant to leave, but were then threatened by law enforcement that if anyone stayed they would receive trespassing citations. Nice indictment of the innocent. Did law enforcement over react? Where was the Oregon law enforcement intelligence for the event? Did the motorcycle club “offense of proximity” only serve to reinforce the symbolic weight the emblems carry for biker clubs? Did the motorcycle clubs brazen intimidation threat accomplish exactly what was intended? Did this action sear a pitiful brand on the character of thousands of innocent, respectable, law-abiding men and women in Oregon who are the enthusiast representatives of an admirable sport? Has Oregon just exited a transformative club period and now set to experience a new “threat on wheels”? Motorcycle club business is none of my business, but when the public is exposed to these individuals are we to just ignore the incident and continue on with adding mustard to our bratwursts and t-shirt buying as if it didn’t happen? Photo taken by author at AHDRA drags in Woodburn, OR. 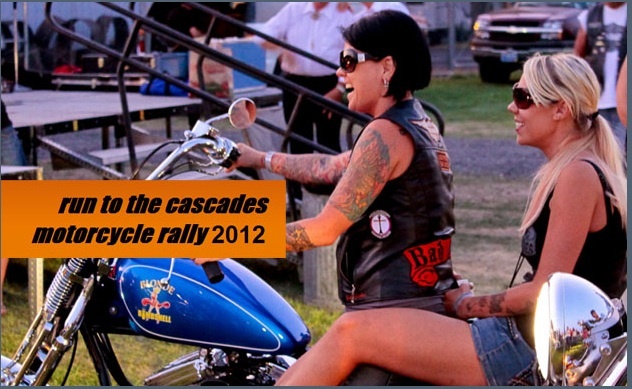 Poster photo courtesy of Run To The Cascades web site.